Save EPS as HPGL in batch. Spare your time, it is easy! You are here: CoolUtils > Total PDF to DXF Converter > Save EPS as HPGL in batch. Spare your time, it is easy! To make EPS files suitable for a plotter you can convert them to HPGL. Originally created for Hewlett Packard printers, now it has become a standard for almost all plotters. In this format big scaled graphics will be properly printed. Total PDF to DXF converter helps to convert EPS to HPGL in batch doing this job automatically. No manual data export or coding required, you just enjoy your free time while the program performs data export. 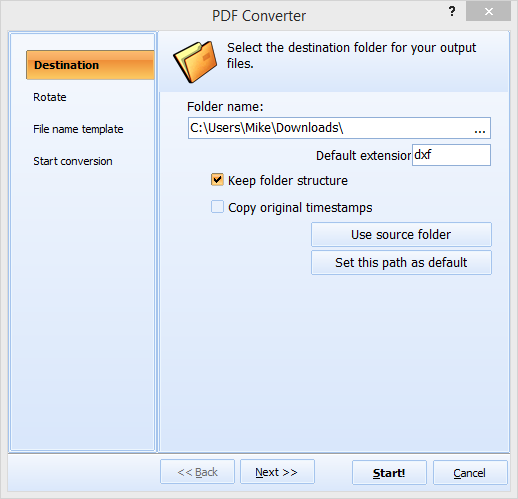 What is important - Total PDF to DXF Converter does not lose any data items when changing the format. It performs 100% copy of the original image and does not affect the quality. Working with this converter is easy, thanks to intuitive user interface. It can convert files one-by-one or perform batch conversion processing all required sources together. In batch mode all settings are made once and applied to all files in batch. This is also a time-saver for users who deal with lots of EPS files that need to be exported to HPGL. If your EPS source files are stored together with other file types, and it's hard to find required files, you can apply the EPS filter. Other file types will be hidden in the list. It makes easier to select the sources. The program will just export EPS to HPGL without any changes to the original file content. You don't have to spend much time on the settings, the process is very straightforward. 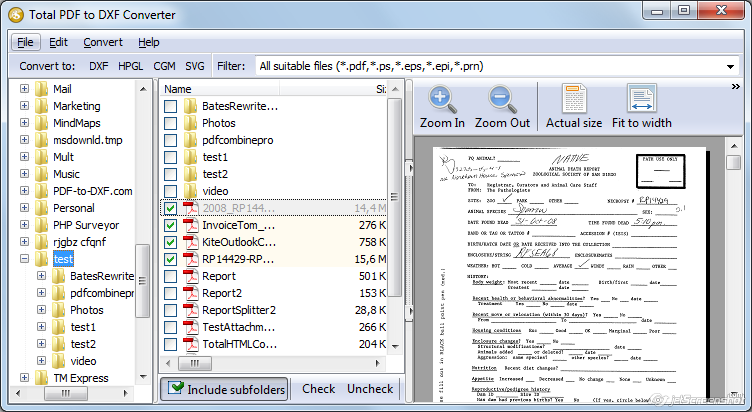 Total PDF to DXF Converter features a built-in viewer. You can view EPS, PDF, EPI and other files inside the program. Try it for free during 30 days to test the quality and ease it brings!